Today we conclude our study of the doctrine of justification. As we have been studying this essential truth of the Christian faith, we have noted several things. We have seen that in justification, God declares us to be righteous in His sight and no longer guilty. This is a legal declaration based on the perfect righteousness of Christ. This righteousness is imputed to us by faith alone when we trust in Christ alone, and it is the righteousness that God sees when He looks upon us. Therefore, justification does not make us intrinsically righteous although all those who are justified will grow in personal holiness. God’s declaration is in no way dependent on our good works — though true faith always displays itself in works. True faith includes knowledge of Jesus, belief in Jesus, and trust in Jesus, and only such faith justifies us. As a result of justification we are freed from guilt because our sins are imputed to Christ and thus sent away from us. However, freedom from guilt is not the only result of justification. As today’s passage tells us, those who have been justified have also received peace with God (Rom. 5:1). It would be hard to find many people today who would say that the primary enemy of those who do not know Christ is God Himself. However, this is the teaching of the Bible. Since the Fall, all of us come into this world as enemies of God. The wrath of God is indeed revealed against all the unrighteousness of men (1:18), and all men are unrighteous (3:23). Above all, mankind needs to find peace with God. On account of God’s perfect holiness, we can only find peace if we have been forgiven by Him. In justification, we receive this forgiveness and thus, peace. Moreover, this peace is an eternal peace that can never be taken away. God does punish us for sin after we have come to faith, but not punitively; it is loving discipline for our holiness (Heb. 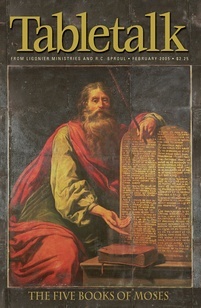 12:7–10). Romans 5:2 tells us that we not only receive peace from God, we also gain access to His grace. Jesus has removed all of the barriers between God and His people, and if we are in Him, we have free access into the very presence of God Himself. Before we came to know Jesus we were at enmity with God. We sought only to war against Him and to become independent of His sovereign rule. However, once we came to know Christ and to trust in Him alone, God made peace with us. In Jesus, He did all the work necessary to end the war with us. Let us therefore offer praise to His name because instead of giving us the punishment we deserve, He poured out His wrath on His Son so that we could know His peace.